Thatu Uriel Leputla died of AIDS. He worked as a casual gardener/labourer in South Africa. 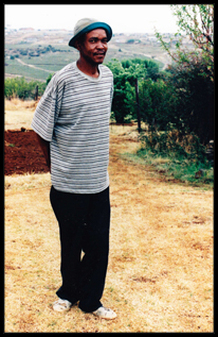 It took only six months for AIDS to take this likeable fit young man from doing paid manual work to his coffin. We named our Charity Thatu after him. We support local South African community efforts where people are determined to help themselves to fight poverty, malnutrition and HIV/AIDS.